Jail and police authorities scour the 13 jail cells of the Tagbilaran City Jail for contraband on Wednesday morning. 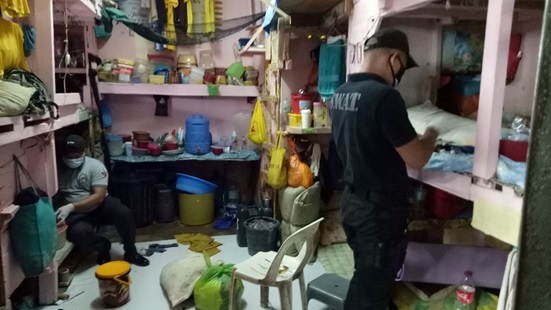 The Bureau of Jail Management and Penology (BJMP) on Friday searched the Tagbilaran City Jail (TCJ) in the latest Greyhound Operation conducted in the province as part of the government’s crackdown on contraband inside detention facilities. The surprise inspection was carried out by jail authorities led by TCJ warden Sr. Insp. Mark Anthony Omega, the Tagbilaran City police led by its chief Supt. Patricio degay Jr. and operatives of the Philippine Drug Enforcement Agency. All detainees were escorted out of the facility while authorities scoured their dormitories for contraband. 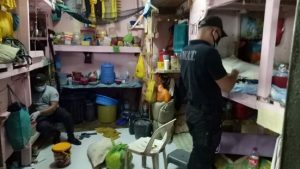 Omega told dyRD Balita no illegal drugs were found inside the facility’s 13 jail cells. There were, however, two mobile phones and a makeshift bladed weapon recovered from detainees’ living spaces. Meanwhile, Omega admitted that the TCJ is now overcrowded and is in need of a new facility. There are 417 detainees inside the TCJ, 31 of them are women, Omega said. Two of the 13 jail cells are for female inmates while the rest are for the male population, he added. 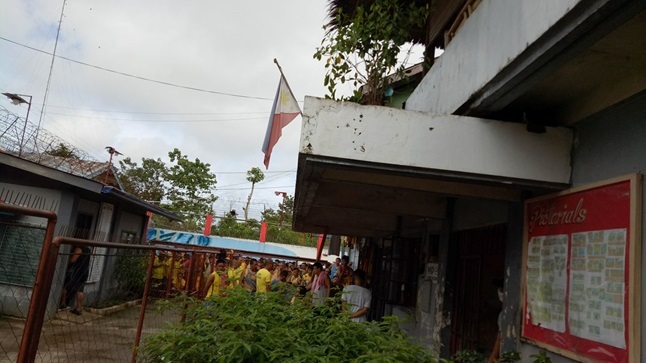 Detainees are escorted out of their dormitories as police and BJMP operatives search the facility. According to Omega, most of the TCJ’s detainees are facing illegal drug charges, like with most of the detention facilities across the province.